This family-friendly hotel is located by the sea, where area attractions include Lady Bay Vineyard, Normanville Beach, and Banksia Park. Area attractions also include Yankalilla District Historical Museum. 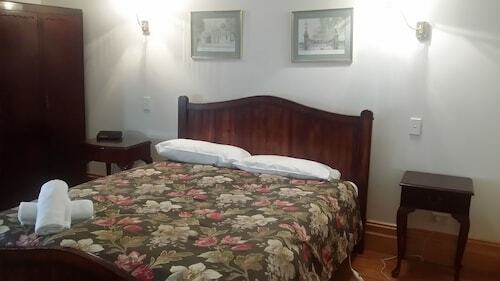 Situated in Second Valley, this motel is within 12 mi (20 km) of Lady Bay Vineyard, Banksia Park, and Normanville Beach. Yankalilla District Historical Museum and Carrickalinga Beach are also within 12 mi (20 km). If you're having a hard time locating any places to stay right in the heart of Wirrina Cove, try not to worry. Look outside the city center and stay within 10 kilometres at any of the 2 terrific options listed by Wotif. For more options, checkout the Lush Pastures and the Viking Farm Bed and Breakfast. They are 14 kilometres and 35 kilometres respectively from the main center. Some more alternatives are the Linger Longer Vineyard Bed and Breakfast, 35 kilometres away, and the Amande Bed and Breakfast, 35 kilometres. After you've spent time in Wirrina Cove, why not explore a little more of the area? The Limestone Coast - Fleurieu Peninsula area has many other things to see. Limestone Coast - Fleurieu Peninsula offers beaches, rivers and lakes, as well as common Limestone Coast - Fleurieu Peninsula tourist attractions like the history museums and farms. Energetic visitors may also try hiking. If you'd like to check out some nearby cities, check out Cape Jervis and Victor Harbor. Travel 16 kilometres to the southwest from Wirrina Cove and you'll locate Cape Jervis. Alternatively, Victor Harbor is 30 kilometres to the east. 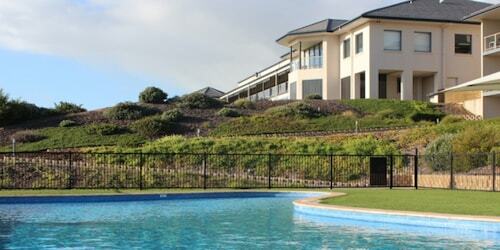 Cape Jervis hotels and apartments are the Morella Farm Stay and Cape Jervis Accommodation & Caravan Park. The McCracken Country Club and Victor Apartments are some of the ones in Victor Harbor. Australians are world famous for their love of sport, so why not visit Hindmarsh Stadium? Hindmarsh Stadium is situated to the northeast of Wirrina Cove. To sleep close by, book a room at the Adelaide Heritage Cottages & Apartments or the Buxton Manor. 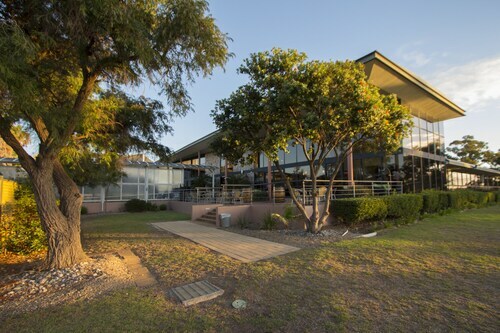 Adelaide International Airport is the most convenient airport for transiting in or out of Wirrina Cove and is 65 kilometres drive from the centre of town. If you choose to stay nearby, try the Seawall Apartments or the Stamford Grand Adelaide. How Much is a Hotel Room in Wirrina Cove? Hotels in Wirrina Cove start at AU$105 per night. Prices and availability subject to change. Additional terms may apply.